Random Thoughts of a Demented Mind won the Indiblog of the Year and the Most Humorous IndiBlog at the Indibloggies [polling statistics here] setting off mass hysteria in the country. According to news agency Reumors, Kolkata went on a general twenty-four hour bandh, Mamata Banerjee asked for the resignation of the chief minister, Katrina Kaif signed another three movies, three more political parties demanded separate states, two more Bhojpuriyas were beaten up in Mumbai and Zardari got three billion more dollars in “non-military” aid. Yes mass hysteria. Of the mundane kind seen everyday. But the most riotous scenes were seen outside RTDM offices where thousands of people were seen shouting for iPods, Zunes and Santosh Mp3 players for reasons unknown. Citizen journalists also took extensive footage of a lady who was present near RTDM offices, a lady who identified herself as a certain Savita Bhabhi, recently unbanned by the government in order to reduce uncontrolled emissions in the run-up to the Copenhagen Environmental Summit . In a statement to the public, RTDM spokesman Truckdriver Sooraj thanked all those who voted for the blog by paraphrasing a line from the song Bade Kaam Ka Bandaar [Aankhen] : “Jo vote kiya us ka bhi bhala, jo na kiya us ka bhi bhala” . And then he gave a very special, most sincere bow of gratitude to every reader who has ever visited RTDM in the more than five years of its existence. Sunil Gavaskar has hailed this as “A momentous occasion for brown men of all colors thumbing their noses at what was the white man’s bastion”. Arun Lal and L. Shivaramakrishnan also said stuff, but people ignored them even before they opened their mouths. Hey Arnab, I recommend your blogs to one and all and am glad that you won the coveted award 🙂 Are you working on a book? When is it likely to be out? The Savita Bhabhi interlude is … well, volcanic! sarah palin and joe the plumber send their ispeciall wishes and winks. also. Congrats GB ! Do keep up the good work !! Congrats! :)Must say you’ve thanked in style! Finally a vote that made a difference! Congrats, GB! You more than deserved it. GB, We all demand more blogs from you. You can give this in return for our votes. Congrats … By the way not sure if you read it but Nytimes in its compilation of the Worst 10 things on the internet … put this culture of “first” at no. 10. Congrats! Landslide victories – these. Treat yourself to some water slides today. Congratulations, GB. Very well deserved..
Congratulations GB .. you deserved it .. again:) A great end to this year for you. All the best for many more accolades. Keep writing and entertaining your die-hard fans. we await with eager anticipation, your book now. Congratulations! Give us more of this humour and we will give you more votes in years to come! In case Rameez didn’t mention, you are a ‘Class Ect’..
BTW..its not a surprise at all! Heartiest congratulations GB!!! BTW, being an old follower of your blog, I have noticed your continuing problem in distinguishing chhodo from chodo e.g. “Aare chodo RTDM ko. Mere pass Ipod Touch hai.” — or do you do that on purpose all the time??? Ama kase iPod Touch ache..Ki Touch korbe ki?? Congratulation GB. By entering hall of fame, u proved that you are a true South Indian. Congrats…. Finally… there is justice in the world….. Savita bhabhi is back!! Many congratulations. Santosh MP3 players – what an anachronism. That was the first time I ever voted on Internet. First time I saw my votes went to the winning side. Happy to see my vote getting counted..
Great feet Arnab da, keep it up..you have always been a great read..wish you all the success..bag all the records of blogging as Sachin has done in batting!! GB for president (or should it be PM). 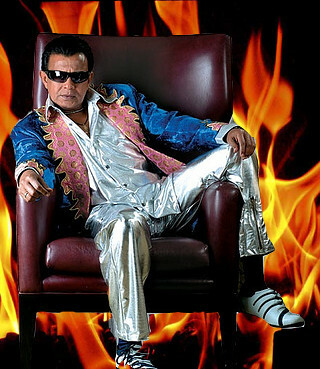 Where do you get these Mithun da photos?! Congrats – GB for President!!! Way to go GB! U R indeed the Gr8 Bong! what a huge margin man, did u indulge in ballot stuffing…. with that amount of popularity, ,maybe your dream of a separate state for yourself is not far off……. Congratulations Arnab – two honors very well-deserved! Bangali Babu ki jai ho!! GB heartiest congratulations…for once i thought I have to act responsibly in life and VOTE…alas I tried but after time for polling got over 😦 you still won and I am happy for you…Go on! You left a point. Boycott would have said these rankings doesn’t make sense. But I am surprised by the total number of votes, being even less than 5000. So where is the party this weekend? If I may suggest Minerva or Tiffin’s for Saturday lunch buffet. Tiffin’s chicken curry is better than Minerva’s and its just 10 mins drive from ur place. Yeah I know u hate driving… so I will pick u guys up. Thanks everyone for the wishes. @Rishi: This weekend unfortunately have plans to go to Arundell Mills (see I am driving !!) for India shopping. But I shall definitely take you up on your offer. :-). Had the lunch buffet (vegetarian) at Woodlands recently. Was not impressed much. @Arun: Movie is Minister Phatakeshto. My book is releasing February end. Will be in India from beginning of March for a month. I will be in Delhi till 10th approximately and then Kolkata. Congrats dude and keep blogging!!!! “reduce uncontrolled emissions in the run-up to the Copenhagen Environmental Summit” ….. vintage stuff…….congrats and keeping it coming GB ……. all eyes and ears here…. And its now time to dig out an old link. Heh. Immense pleasure came. The sheer WTF edness. Stripped, castrated, sodomized, humiliated and exposed. Bang bang bang bang boom boom boom boom. Hey Arnab, congrats! I have been reading your blog for years, just that I don’t comment. But this occassion demands a comment. BTW I didn’t vote for u, but anyways u have wished me “bhala”, so that’s ok 😛 But seriously, you have been doing a great job over the years, pls keep the posts coming. Enjoy! Congrats GB!!! U really deserve it..
Woodland’s buffet never worked for me. Do try Saffire’s (in Bowie). It has nice phuchkas as appetizers and Jalebis as desser soemtimes. Looking forward to the book launch. Congratulations. I voted for you. The greatest thank you speech-in writing ever..Hey greatbong whiach are the spectator sports that you like other than cricket? regarding the hysteria, what will happen when the book releases??? If you are into the Maryland food culture, try out “Bottom of the Bay” on Rt. 1 near Laurel. Its a old seafood shack. The sauteed soft shell crab there is truely a gift from Varuna deva. Congrats GB! One Zune for booth capturing? Baba GB, stupendous baba, Hall of Fame baba, dhulo dao baba!! So they all deserve that gracious bow, each and every one of your readers. So hearty and warm congratulations. Enjoy the celebrations with Rishi and others. I will raise a glass to you and your demented mind tomorrow. Congrats to the demented mind. When is the book coming out btw? congrats man u deserved it !!! congrats GB !!! you deserve it .. you have made us laugh for over 5 years now..more power to your blog !! Correcting Vivek’s comment there… you have made us laugh as well as cry, Great Bong… How can one forget Andaman Cellular Jail and the likes? RTDM’s inclusion to “Hall of fame” also deserves a mention, no? congrats! as a long time fan, feeling mighty pleased. The SB…uncntrolled emissions line is OUT OF THIS WORLD!!!! the boys at the alimuddin are very bemused. they were abso clueless that RTDM was handing out gizmos for booth capturing. “only five thou, we could have made it five lakhs”, they said. “shaala, every sector five machine thhekey ponchashta patthano jeto”, they said. “shobbai ki ekta ekta chaitam naki? para’r club’ey ekta ekta dilei hoto”, they said. “didi boleychhey, shamner election-ey tthik tthak kaaj korlei…..”, they are saying. in barrackpore, i am also flummoxed. you mean you won without the ‘boys’ pitching in? the party changes, but the ‘boys’ are constant. so, it is really, really JAI HO! Hope to read many more blogs in the years to come. Good to see a leaner trimmer blogroll too. Heh. Good riddance. Congrats a lot. I voted for you and good to see it reaping results. “.. Santosh mp3 players” – vintage stuff man. Keep up the good work. waiting for your book more than any SRK fan has waited for his next flick ( though which wont be much different from last) or Himesh fan for his next nasal magnum (0.44) o-pus. Thank you all for the messages. Congrats, Greatbong! Keep us entertained with your howlarious posts :-).